But friends, these days, while I regularly find myself sighing and swooning and maybe even drooling a bit over all of the impeccably decorated trees and Pottery Barn worthy table displays, I can’t help but wonder about something. Something that seems to be missing. Where oh where are the ornaments made with Popsicle sticks? 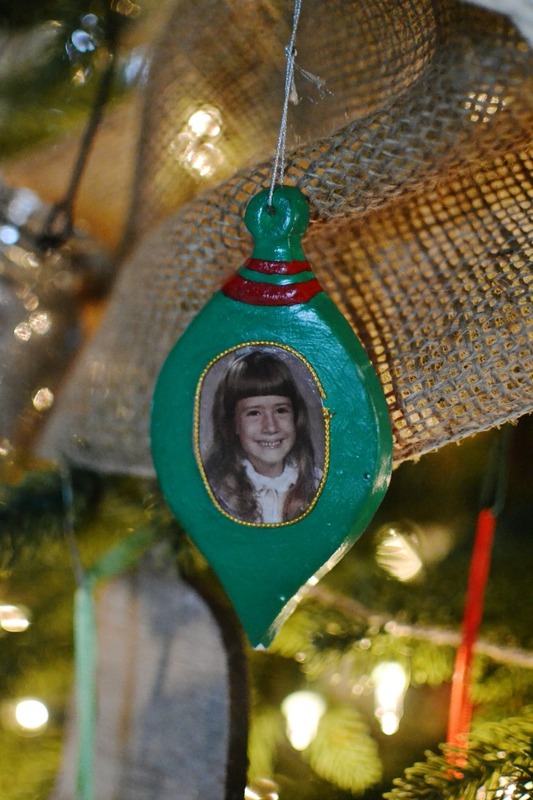 Where are the cheesy ornaments you’ve had since 1972? 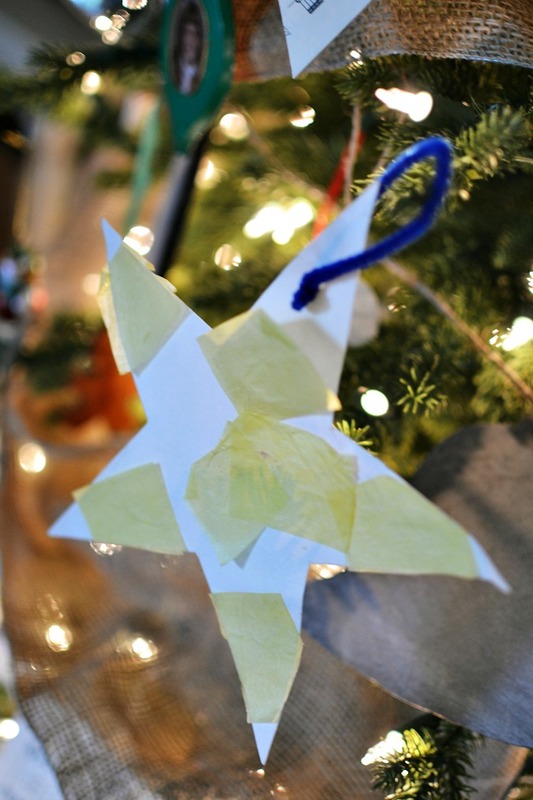 Where are the ones made by little hands at school and brought home with great anticipation, eager to hang front and center on the Christmas tree? Where are the real ornaments? So, you see, I decided it was high time to show off a different kind of tree. One where paper angels aren’t relegated to the back. Because, you see, I believe that the pretty and the practical can peacefully co-exist. 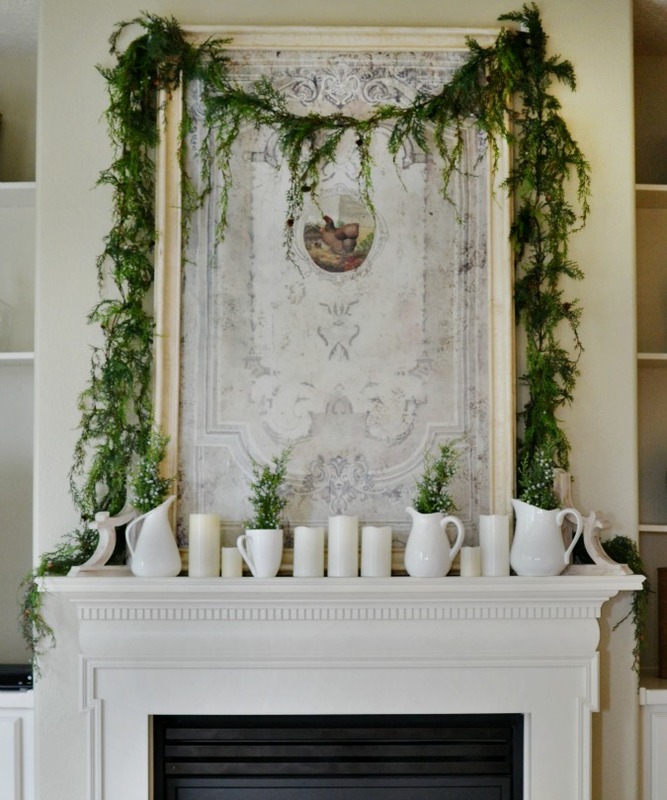 In fact, I believe that when our decorating is grounded in reality, it might just be even MORE beautiful. 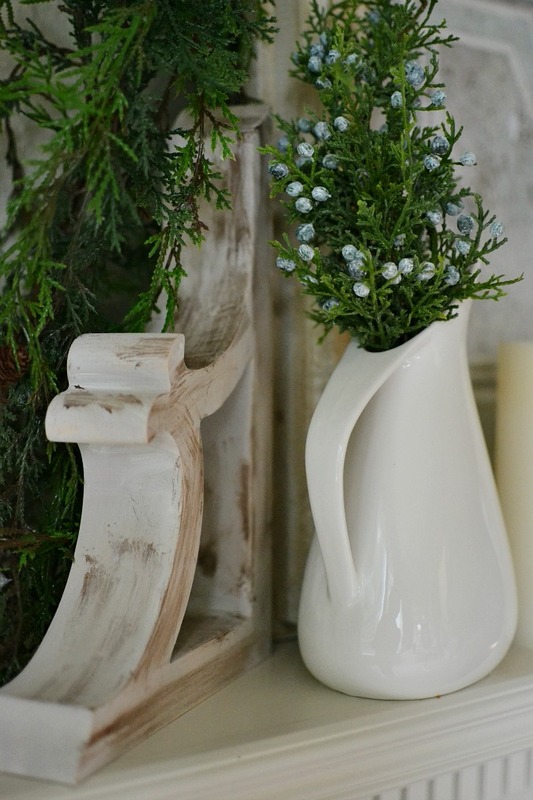 I believe that we can pull out those old family ornaments and display them proudly, seamlessly incorporating them into your decor without hiding them away in the far corners of your home. And I believe that the best way to blend the old with the new is by putting a fresh spin on things. Using a fun tree stand, like the basket pictured above, is a great place to start. 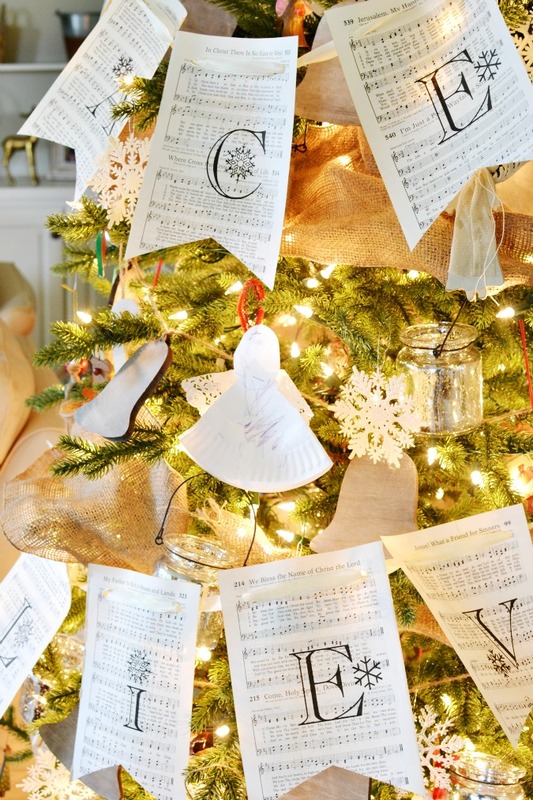 And adding a touch of whimsy, like this oversized music sheet paper garland, makes such a great statement. The thing is, my heart flutters the most when I pull out this type of ornament. And this one of me circa 1981. 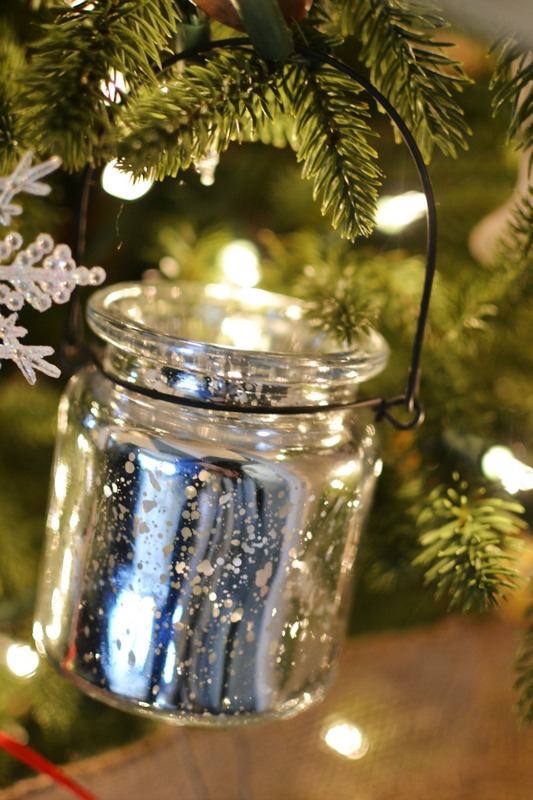 And when I hang those treasured ornaments on the tree next to sparkly mercury glass jars, they seem to take on a shiny new luster. I don’t believe that Christmas decorating has to be an either/or situation. 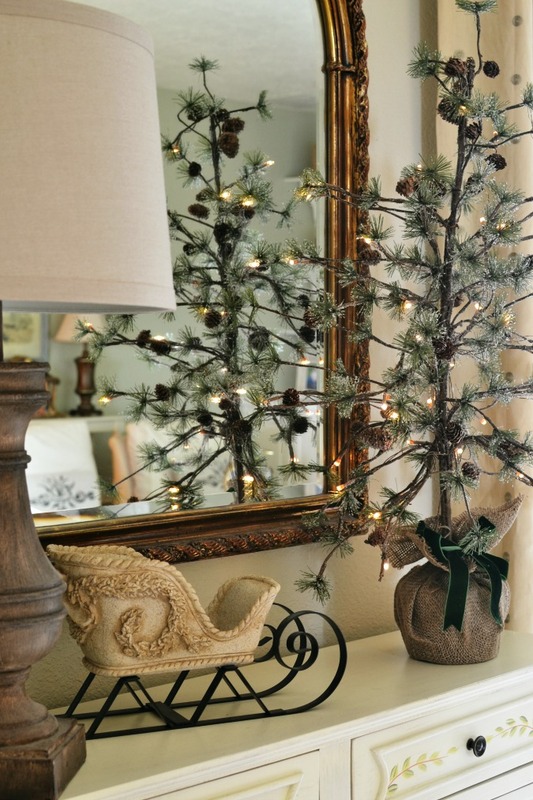 We don’t have to either have really beautiful decor OR use our cherished family treasures. I think that that, if we put our minds to it, we can find a way to have the very best of both worlds. I want my kids to see that I enjoy being creative in our home and using it as a type of canvas to express that creativity. What I don’t want is for them to have memories of mommy sticking all of their homemade ornaments on the back of the tree each year. Or not even putting them on the tree at all! Now, granted, for the sake of space some of them do end up on the backside. But, I really want my kids to know that those ornaments are even MORE beautiful, more important to me than anything I could ever buy ready-made at the craft store. And that preparing our homes for the season isn’t nearly as important as preparing our hearts. 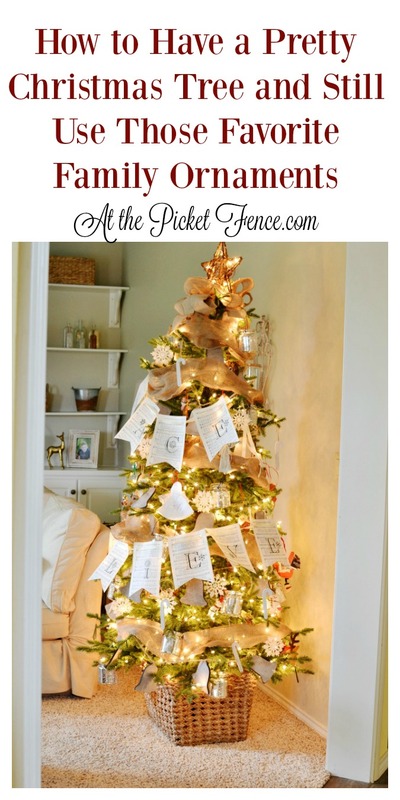 25 Comments on "Paper Angels and Pretty Trees"
I have a tree decorated just like you describe. Treasures made for me by my children and grandchildren. And yes, my daughters ages 47 and 50 still roll their eyes at their mom! One daughter totally refused to let me use one from her early early childhood. Yes, it’s not pretty but it was made by her little hands at age 3. So very, very beautiful Vanessa!….Merry Christmas!!! Thank you Shirley! Merry Christmas to you too my friend! well said my friend!! and well done!! 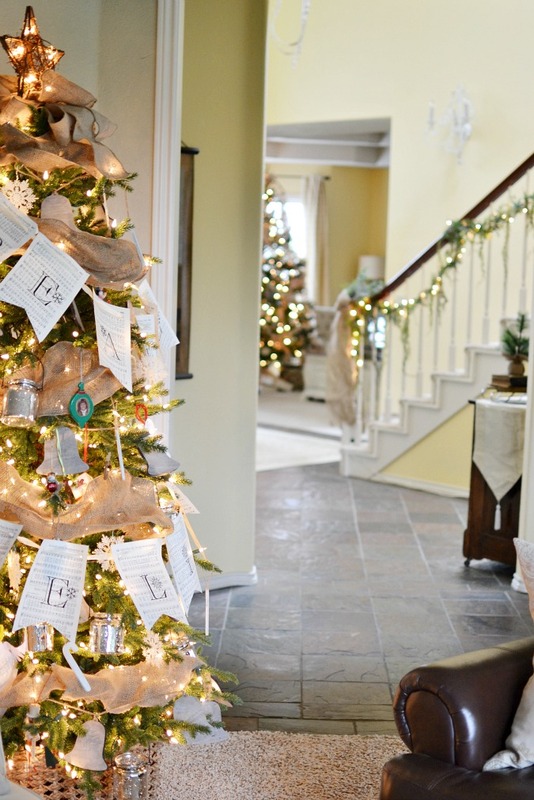 your tree and home are gorgeous!!! 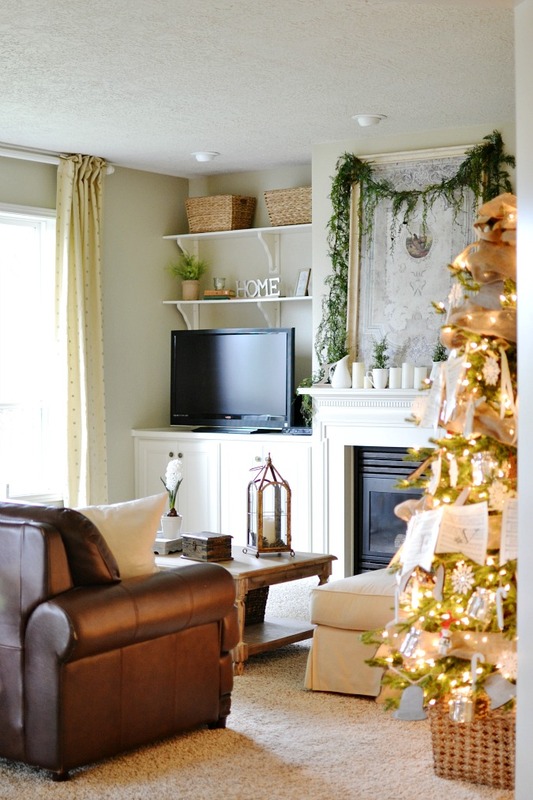 Love that gorgeous tree and the other festive details in the room. BTW, your link under the thumbnail is incorrect. I had to just come over to see your post. Thank you! I just can’t part with the ornaments that hold such precious memories. I love decorating the tree with them and enjoying them all season long! Wonderful post! Aww thanks so much Pam! I’ve been thinking the same thing this year. Perhaps one too many years of NOT having the family treasures out. I think next year will be a little different for me 🙂 Your house looks beautiful. I love that you don’t push your children’s ornaments to the back of the tree! They’re precious! 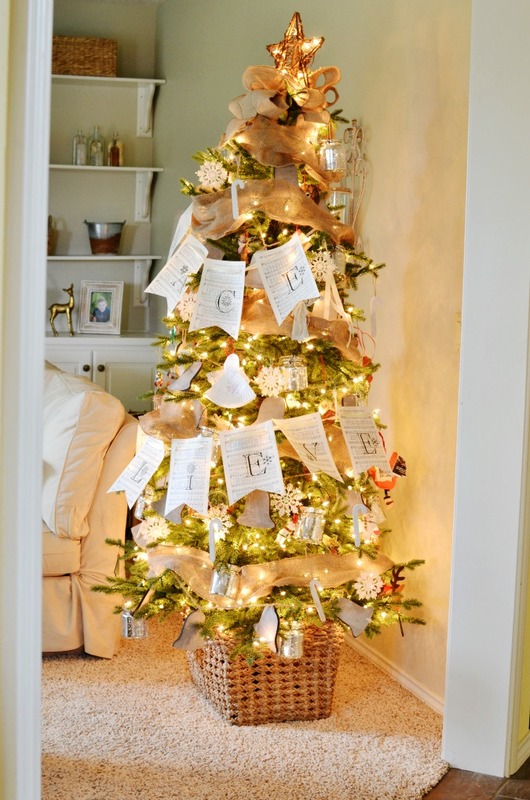 I love your paper garland on the tree! Thanks for joining the tour, Vanessa! My favorite kind of tree is one decorated with things the children made or picked out. I use them all every year. 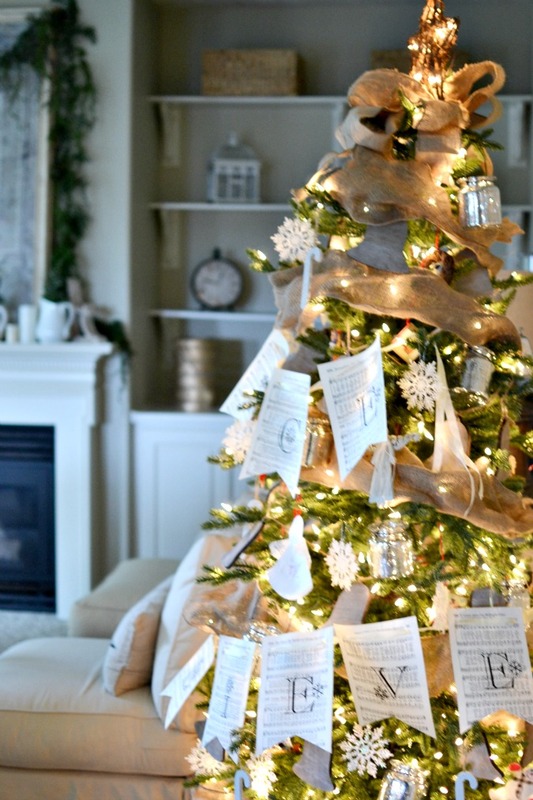 Gorgeous tree and beautiful decor. I love this post, the message here. And as a mom of one grown boy whose handmade ornaments were destroyed when a roof leak caused major damage in our attic, I long for those precious keepsakes every year. I think it’s awesome that yours take center stage and mingle so beautifully with all the other decorations in your home. 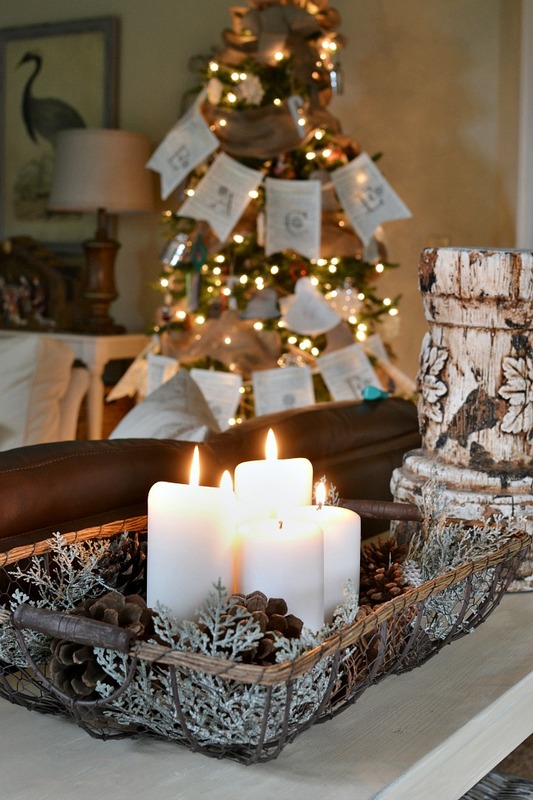 To me, this is magazine worthy….pottery barn has nothing on you. Vanessa, I am a traditional girl at heart I LOVE looking at the homemade ornaments from my kids or from my nieces and nephew who are now in their 20’s. so many magical Christmas memories. I have to agree! I think it’s great to feature the kiddies beautiful work AND have your favorite store bought goodies too! I also LOVE all of your white pitchers! This Christmas I decided I was going to start collecting them!